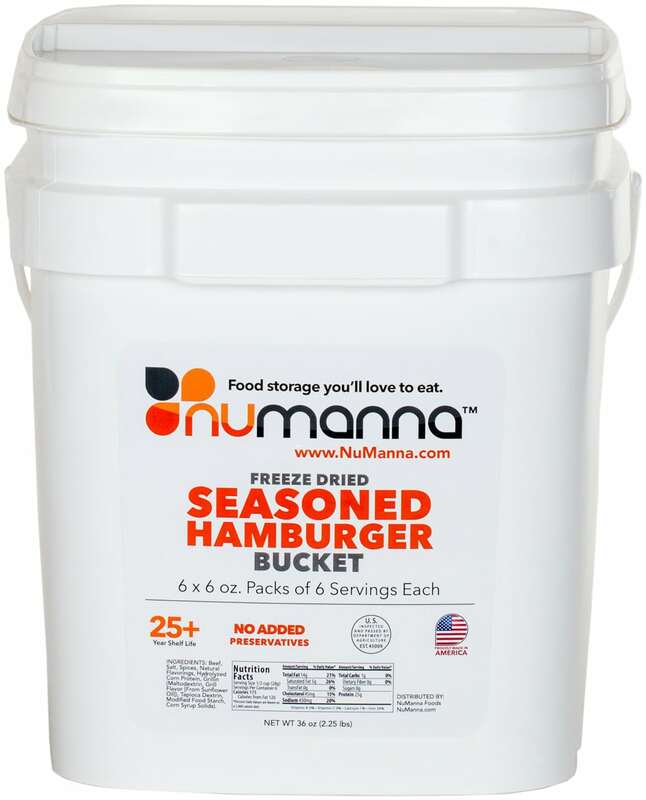 NuManna’s Freeze Dried Seasoned Hamburger is 36 servings of USDA premium beef. 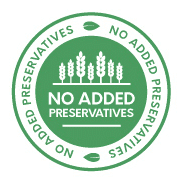 Each serving is 25 grams of protein and an additional 115 calories. 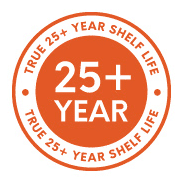 This is a great way to fuel your body in times of duress. 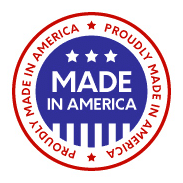 Do not get caught with low energy when disaster strikes. 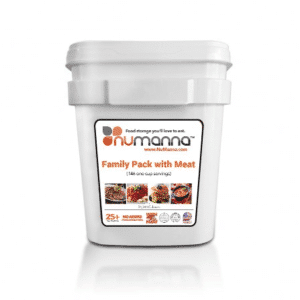 NuManna meat buckets are the healthiest way to get protein into your food storage program. 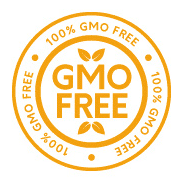 Easy to prepare in minutes, and delivers you and your family the protein your body needs. 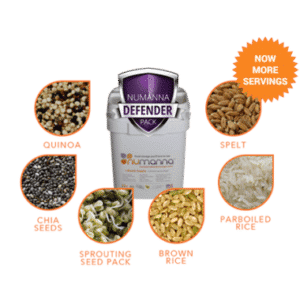 Throw a couple servings into our chili, our soups, or our pasta dishes and add calories, protein and great taste to any NuManna meal. 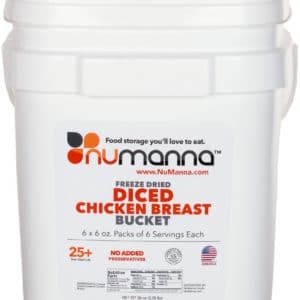 Whether you are preparing for an emergency or just need something easy for dinner tonight, grab some NuManna Freeze Dried Seasoned Hamburger today.